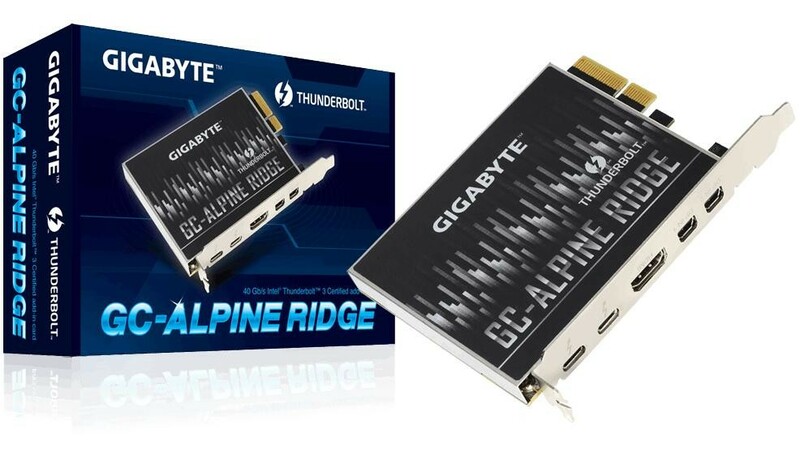 The GC-ALPINE RIDGE offers an easy way to upgrade GIGABYTE Thunderbolt™ ready motherboards with the new and faster Thunderbolt™ 3 connectivity without having to upgrade to a whole new system. 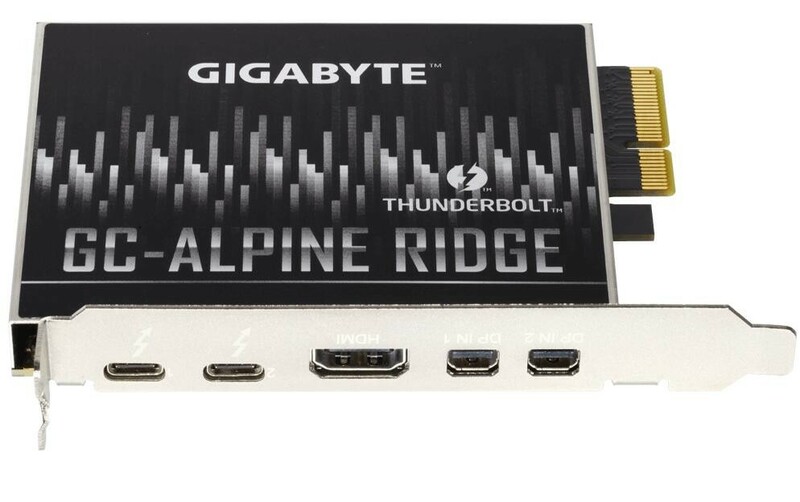 Support for DisplayPort 1.2 makes Thunderbolt™ 3 a must have for any enthusiast. 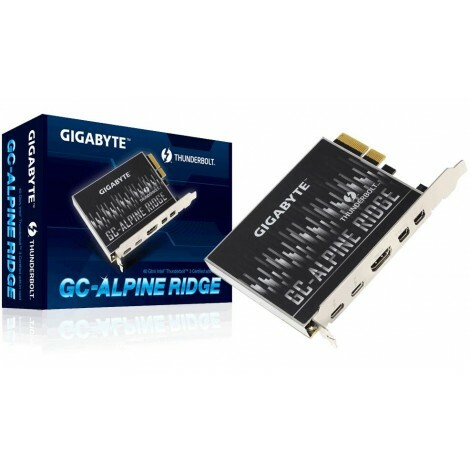 The GIGABYTE Thunderbolt™ ready motherboards are able to support two displays in 4K resolution at 60 FPS or one display in 5K resolution. 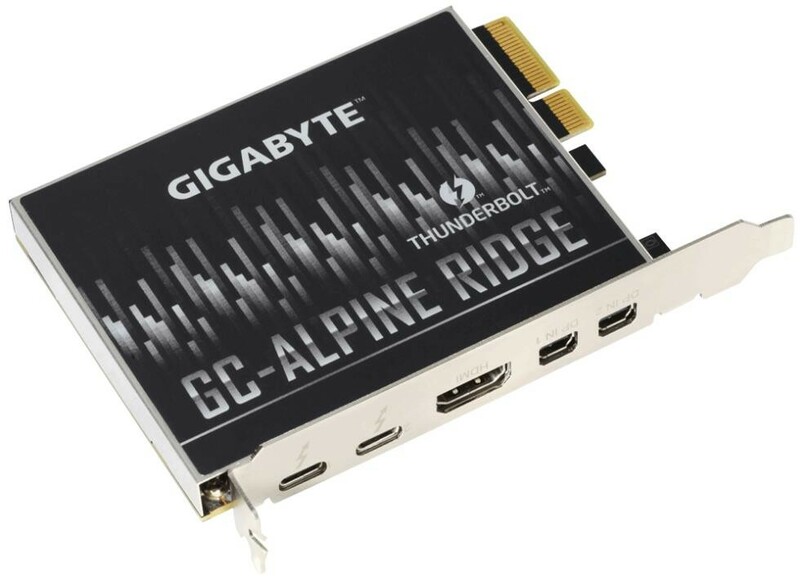 In addition, Thunderbolt™ 3 over USB Type-C™ has revolutionary industry-first features such as Power Delivery 2.0, and the ability to daisy-chain up to 12 devices thanks to the dual USB Type-C™ ports.